Rass Excavating began its Door County, Wisconsin based operations in 2002. Troy and Katy Rass are responsible for the company’s current success and the quality of work that clients have come to expect over the years. Although the excavating offices are located in Sturgeon Bay, Wisconsin Rass Excavating serves all of Northeast Wisconsin and frequently serves Door County, Manitowoc County, Brown County, and Kewaunee County. 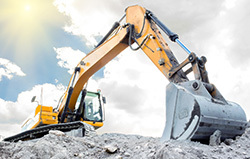 The team at Rass excavating works closely with a variety of people including commercial contractors, residential contractors, builders, developers, homeowners, engineers, municipal inspectors, and other contractors. We have reliable and well maintained equipment for all your project needs.